Microsoft has today finally confirmed the first Xbox 360 titles that will be playable on the Xbox One from later this week. On November 12 Microsoft will be launching a new update for the console's system software that will enable it. The official list contains many of the biggest games of the last generation, including the original Mass Effect, the entire Gears of War series and Assassin's Creed 2 - which is widely viewed as the best entry in the series. Other games that will be given a new chance at life includes Lego Star Wars, just in time for The Force Awakens, and a number of classic games that were previously available to buy on the 360 digitally, such as Sonic the Hedgehog. The software update is arguably the most significant yet for the Xbox One, as it introduces a number of new features including support for Windows 10 "Universal" apps on the console, and paves the way for the likes of Cortana too. Sadly she won't be included at launch. Backwards compatibility though is perhaps the most interesting. Unlike Sony's approach, of getting around backwards compatibility by using an online game-streaming service, Microsoft has instead opted to build a full Xbox 360 emulator that runs on the Xbox One. 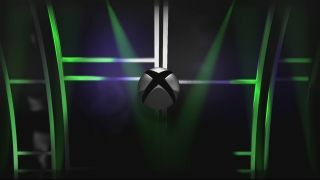 This means that when you put in a disc, or choose to play a digital purchase, you'll have access to all of the Xbox 360 features you might expect including online play and DLC. Better still - whilst playing 360 games you're still able to use Xbox One functions like the Game DVR to stream your game on Twitch. Here's the full list - there's 104 games in total. The expectation is that Microsoft will slowly add to this list over time. Read our Xbox One review here.